Kalala Organic Estate Winery owner Karnail Sidhu began his wine-making career after immigrating to Canada in 1993, when he found his first job working in a vineyard. Kalala Organic Estate Winery's 2012 Dostana cabernet sauvignon is a robust wine, with a strong tannic backbone. It's not cheap at $45, but it has more humble origins than its tasting notes or price suggest. The British Columbia winery is owned by Karnail Singh Sidhu, who arrived from India in the mid-1990s and, a short while later, was having lunch at an Okanagan vineyard where he had picked up work doing general labour. The story of how he went from farmhand to winery owner reads as if it came from a brochure selling Canada to prospective immigrants. It also has a curious twist: Sidhu doesn't drink alcohol. The award-winning winemaker smells and tastes everything he makes – but almost always spits it out. Karnail Sidhu filters wine at his winery, Kalala, in Kelowna, B.C. 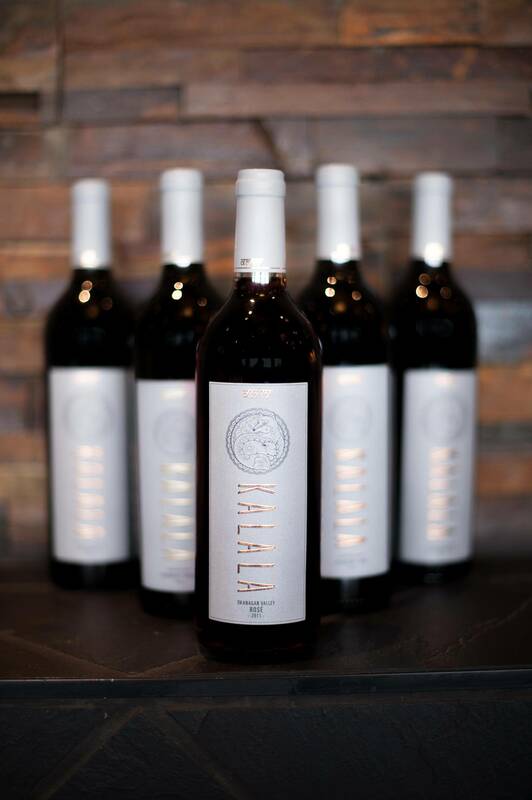 Kalala has steadily expanded since its establishment in 2006, with its wines now available across British Columbia as well as going overseas to China and India. Sidhu emphasizes the importance of using high-quality, organic ingredients in his wines. Sidhu immigrated to join two brothers, and he worked alongside them at that first farmhand job. Knowing little about viticulture at the time, one brother suggested this wine thing was something to consider. "After all," says Sidhu, relating his brother's musings, "these people are selling bottles of juice for 12 or 15 dollars: that's not a bad business to get into." What could have been a throwaway joke planted a seed in Sidhu's mind. Although he had trained as an electrical engineer in the northern Indian state of Punjab, he found upon immigrating to Canada in 1993 that his qualifications weren't accepted here. Casting about for options, he found his first job working in a vineyard. "Being from Punjab, another field we thought we could very good in was farming," says Sidhu, whose father was a farmer. Agriculture is such a fundamental part of Punjabi culture and folklore that he was taught farming basics in high school. Sidhu heard about work in the Okanagan Valley, and moved his family first to Penticton and then Kelowna, finally finding steady work at Summerhill winery. There, his work ethic so impressed his superiors that they sent him for viticulture training at a local college, before promoting him to vineyard manager, a job he held for 10 years. Formal training aside, Sidhu was also able to learn the nuances of wine making there, forming a close friendship with then Summerhill winemaker Alan Marks, who has since gone on to help many wineries, including Kalala. "I knew that Karnail had a passion for agriculture and grape growing," says Marks, who has a PhD in oenology (the study of wines) and food science. By 2006, Sidhu had established the fledgling Kalala Organic Estate Winery, which began selling wine under its own label in 2008. "I knew he would do a great job." The connection between the two men lasted: Dostana, the winery's premium label, means friendship in Hindi and was named so for their rapport. Sidhu's next step was to buy vineyards, where he first grew grapes that he sold to other wineries. But, by 2006, he had established the fledgling Kalala Organic Estate Winery, which began selling wine under its own label in 2008. Today, the wines are widely available, predominantly in private stores in British Columbia, with a small amount sold online and going overseas to China and India. The winery has also expanded from shipping 700 cases in its first year to 20,000 in 2016, and sells both table and premium whites and reds, as well as icewines. Expansion has come with recognition: at the Chardonnay du Monde competition in 2016, the winery's chardonnay icewine won gold. The aromas present in that wine – honeysuckle, apricot, lemon – are now accompanied by the smell of success. For a winery owner who doesn't drink, aroma is especially important. "Karnail has an extremely refined sense of smell, especially for things that might be starting to go wrong with wine," says Marks, who insists that the oddity of Sidhu not drinking his own product isn't a hindrance. "About 80 per cent of defects in wine can be caught in the aroma." It's true that the centrality of smell to wine cannot be understated, says Bianca Bosker, whose recent memoir, Cork Dork, recounts her story of quitting a job as a technology journalist to dive into the overwhelming world of sommeliers. Dostana is Kalala winery’s premium label – the word means “friendship” in Hindi. As one of many parts of her attempts to join their ranks, Bosker tried to train her sense of smell to match wine obsessives who can (they claim) distinguish not just a Bordeaux from a Côtes du Rhône, but the specific appellation and year of each. "Humans can perceive around five different tastes, where some scientists say we can perceive a trillion odours," Bosker says. "So when we talk about the richness and complexity of a wine, really a lot of it is coming from smell, from its odours, and a lot of us overlook that." All the same, she says that not actually drinking the wine could be a limitation for a winemaker. "It's not possible to savour all the flavours of a wine through smell alone," Bosker says. There is a textural element to wine: not just mouth-feel, but how the "heat" of the alcohol feels at the back of the throat or in the nose. Sidhu's abstinence pertains to an allergy to alcohol, not Sikhism's proscription on booze. And though Kalala might seem unique in the wine world, he is far from being the lone Indo-Canadian in the B.C. wine industry. There are the Dhaliwal brothers at Kismet Winery, Gary and Surjit Deol at Deol Wines, and others, many of whom share a similar path from an agricultural background in India to wine in British Columbia. Although wine isn't terribly important in much of Punjabi or Indian culture, Sidhu says an increasing number of Indo-Canadians are coming to the winery for tastings, particularly younger ones who were raised in Canada. Many of these young people appreciate that Kalala is also a fully certified organic winery, a practice that has been at the core of its philosophy from the start. Sidhu was also able to learn the nuances of wine making at Summerhill winery in Kelowna, B.C., forming a close friendship with then Summerhill winemaker Alan Marks, who has since gone on to help many wineries, including Kalala. "I truly believe that organic grapes make better wine," Sidhu says. "When we use any systemic chemicals that get into the plant, there is a residual amount left in the grapes, which can affect the fermentation. I truly believe they change the chemical composition of your produce." Part of the ethos, too, is making organic accessible, and Sidhu focuses on building an ecosystem of plant life in his vineyards that pre-empt the need for expensive fungicides and insecticides, bringing down his costs. "I personally think organic products shouldn't only be available for the 20 per cent of people who can afford it," he says. Yet such pragmatic concerns are not themselves detectable in the glass. "There are these concrete things in wine you can point to," Bosker says. "Acid, alcohol, sweetness, these are things you can actually measure. But that only goes so far – you can measure the pitch of music in a symphony, but what really matters is the way all these things come together." And surprisingly, Bosker says that smelling but generally not drinking wine may actually help in that regard. "Most of us never really teach ourselves to pay attention to our noses. To renew attention to odours," she says, "can give one a sensitivity to the very subtle beauty that exists in a glass of wine."